Healthy communities start with healthy people. At Batey Libertad, financial and social barriers to health care is a fact of life. 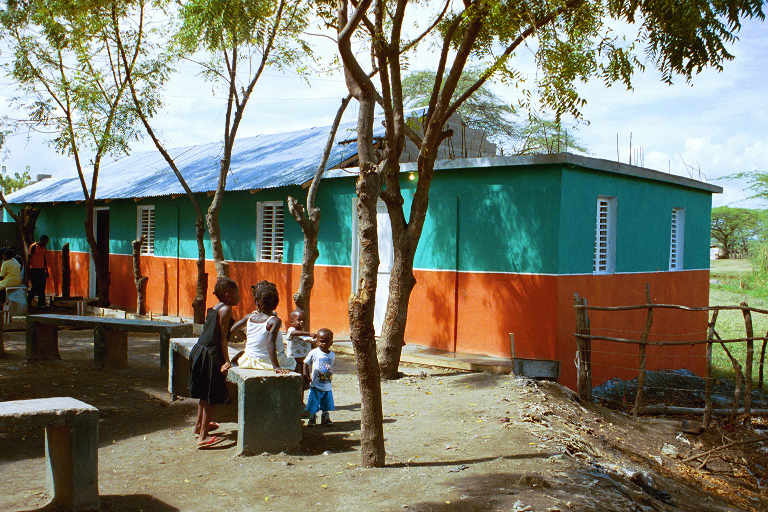 However, in 2005-06 the community of Batey Libertad teamed up with students and faculty from the University of Vermont to construct a community health clinic. In the course of less than a year, what started as Dr. Pat helping out with “Mom medicine” on Papito’s porch, expanded into a new building (attached to a new local school and community center) stocked with meds from MAP International and donations from Vermont practices, and with consults held every few months with U.S. doctors and medical students, Dominican physicians and nurses, and other community health volunteers. In 2007, four multi-day clinics were organized by community members with consults from both local and American docs. In addition, doctors and medical students from the Stritch School of Medicine of Loyola University ran a health clinic during a 10-day medical mission coordinated through Creighton University’s Institute for Latin American Concern (ILAC). ILAC has also trained “Cooperadores de Salud” or health promoters at Batey Libertad who conduct “charlas” or chats with the community on preventive care, as well as identify candidates for surgery performed during medical missions at ILAC’s Santiago facility. 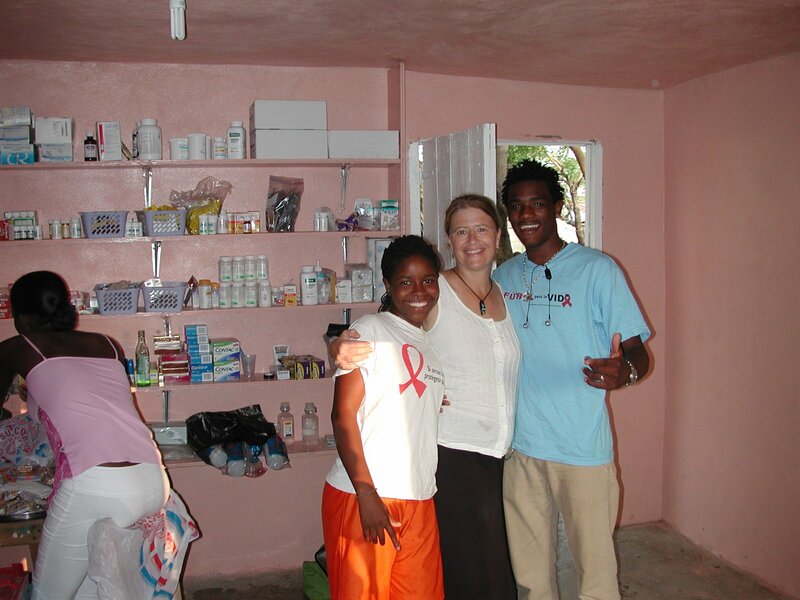 The Libertad clinic has also benefited from advice and a site visit from the Batey Relief Alliance, an NGO that helps develop health care and development programs within batey communities. Volunteers at Batey Libertad, more often than not, also find themselves filling in as patient advocates for the poor and racially marginalized in the Dominican health care system. Community clinics serve to address the day-to-day maladies of batey living, but also to identify patients who need more critical care and help find them the attention they deserve in the health care system. Fundraisers at the University of Vermont and direct patient sponsors have supported dozens of critical care patients, including those affected by tuberculosis, HIV, hepatitis-C, and diabetes, as well as aiding malnourished children and elder residents of Batey Libertad. 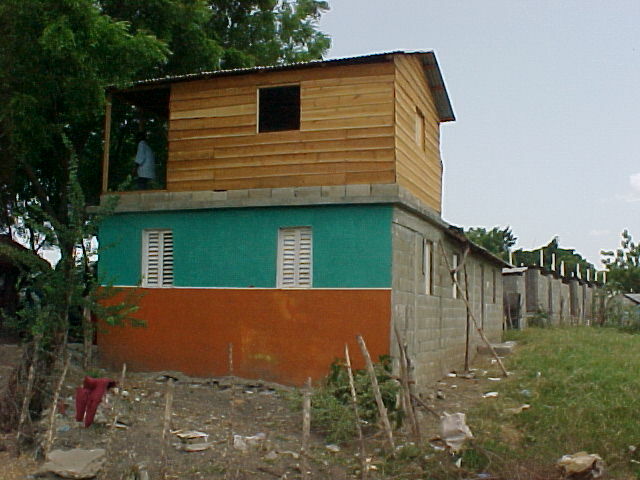 In 2008 the community completed the construction of a volunteer apartment above the health clinic in order to house doctors, students, educators, and other collaborators into the future. If you’d like to inquire about opportunities to volunteer in community health efforts at Batey Libertad, please e-mail Dr. Pat Erickson at patricia.erickson@uvm.edu.